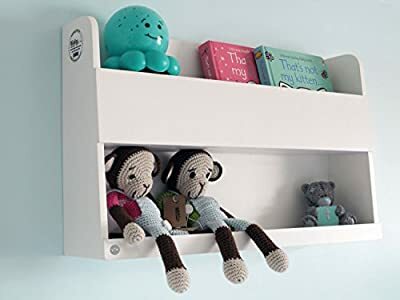 The Tidy Books Bunk Bed Buddy is a bunk bed shelf created by a mum. 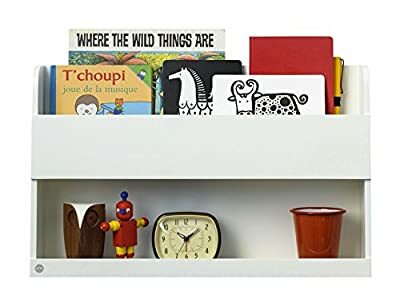 - Lipped shelves hold bedtime drinks securely, meaning fewer spills. - Secures to the wall, can't be knocked off. - Ideal for clipping on a bedside light. - Childrens storage that helps your child to be more independent when sleeping in the top bunk. - Slim profile saves space. The design, in sustainable plywood is both light and strong, making it safer above your child's bed. - Floating shelves - does not take up floor space. Ideal alternative to a bedside table. - Ideal bedroom storage for small bedrooms. - Finished in safe, eco-friendly water lacquer. We could have coated them with a solvent based acrylic, but we made an ethical choice. Water lacquer shows the natural imperfections in the wood, and is better for the planet and your kids. 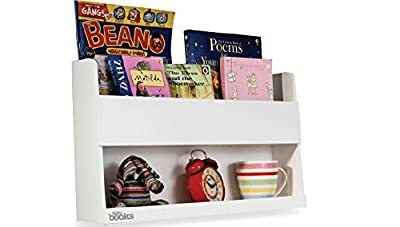 - Tidy Books, a small company, makes kid's storage designed by founder and mum Geraldine to foster kids' independence, and supports kids' reading charity Beanstalk. 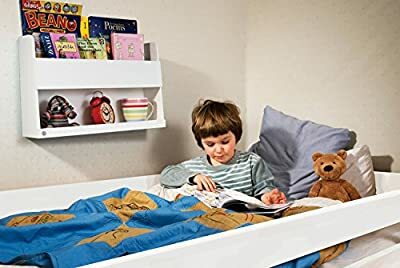 The Tidy Books Bunk Bed Buddy is a must for the top bunk bed. Order yours today! BUNK BED SHELF stores books, toys and drinks safely within reach of your child when they sleep in the top bunk bed. Lipped shelf hold drinks securely, so no more spills and falls. 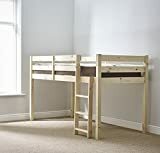 BUNK BED STORAGE is perfect childrens storage next to BUNK BEDS AND CABIN BEDS. A clever alternative to a bedside table. FLOATING SHELVES in sustainable plywood are designed to be both light and strong, making a stylish statement in your child's bedroom. HANDMADE FINISH, ECO-FRIENDLY water lacquer finish (low VOCs ) which is better for the planet and safer for your family. WOODEN SHELVES. Sustainable FSC Wood. No MDF. IDEAL BEDROOM STORAGE FOR SMALL SPACES. Not just for bunk beds, the Bunk Bed Buddy attaches to the wall. Space saving storage when a bedside table would be too bulky.